The failures, though painful, might force both Republicans and the Obama administration to compromise. We’re six weeks into the implementation of one of the key provisions of the Affordable Care Act, the rollout of the healthcare marketplaces. It’s been a tough month, dominated by failures of rather astonishing proportions. But sooner or later, Healthcare.gov will work, and Republican governors will grasp that bipartisan cooperation with the Obama administration is in their best interest. First, let’s acknowledge the failures. The most obvious occurred within the Obama administration itself, whose Department of Health and Human Services botched the launch of the online marketplace. For those of us who worked so hard over many years to secure passage of healthcare reform, this was humiliating. We argued for years that the individual and small-group insurance market required greater transparency, along with closer regulation by competent, activist federal government. The ACA was a strong step in that direction, but no one expected completely smooth sailing in the implementation of a vastly complex new law. Plus, the Obama administration faced implacable opposition from Republicans at both the state and the federal level. The HHS bureaucracy labored under incredible pressure because of congressional efforts to defund ACA. The Supreme Court damaged and delayed ACA’s implementation, too—first through a ponderous legal process, then through its surprising and misguided decision that effectively allowed states to refuse ACA’s Medicaid expansion. Almost everyone expected the rollout to include some embarrassing glitches. But few people expected the deep bureaucratic failure that actually occurred. ACA supporters draw different lessons from this experience. Technocratic centrists seek organizational strategies to make government IT management and procurement better emulate its innovative counterparts in the private sector. Those further left note that universal social insurance is more straightforward to explain and to actually implement. These critiques do not conflict. Both have considerable validity. Both deserve greater attention in the design of future social policies. Last month’s performance failure hurts on a personal level, too. Many of us who fought for ACA are trying to help friends, patients, clients and loved ones sign up for coverage. We know many people who desperately need help, yet who remain confused or suspicious about whether they would get help under the new law. We finally had our chance to demonstrate that help was finally coming. But instead of being a moment of pride, October 1 was a moment of great confusion, embarrassment and disappointment. I remain proud of ACA, proud of President Obama for securing its passage. The past month hasn’t changed that. My friends and colleagues in that effort feel the same. Yet I sense a new weariness and uncertainty. Unlike other low points of the Obama presidency such as his loss of the first 2012 debate, the rollout of Healthcare.gov represented a substantive governance failure rather than a partisan setback. This really hurt. Then there was the line: “If you have insurance, you can keep it,” Obama’s promise that existing insurance policies wouldn’t change. Policy wonks always understood that this was roughly correct, but oversimplified. We failed to prepare the public for a more complicated reality, in which insurers would drop low-cost—often but not always—junk plans. Yes, most consumers are getting better plans. But some people are paying more. The president’s promise has come back to haunt him. He was right to apologize. The administration and its supporters made some serious errors. Yet they didn’t commit the only or the most epic failures here. News media are also making sowing public confusion. Major outlets repeatedly misreported stories of coverage cancellations within the individual and small-group marketplace. A series of stories described the predicament of specific people whose insurance was apparently cancelled, and who now apparently face massive premium increases because of healthcare reform. Anecdata always has the potential to mislead. Consumers with individual or small-group policies that have been cancelled are a tiny proportion of the insured, and are also a small proportion of those most affected by health reform. Many of the cancelled plans were incredibly limited, and would not have protected people from financial ruin in the event of serious injury or illness. Many people whose coverage was cancelled are eligible for subsidies on the new health insurance exchanges or are now eligible for Medicaid. Some are young adults who can enroll on a parent’s group plan. A striking proportion of supposed ACA horror stories fall apart entirely when subjected to scrutiny. A particularly egregious example: on October 11, Sean Hannity featured featured six ostensible victims of Obamacare. Each of the six stories proved fell apart upon straightforward fact-checking conducted by Salon’s Eric Stern. To my knowledge, Hannity has run no correction. Such errors are unsurprising given Hannity’s strident conservatism, but as the American Prospect’s Paul Waldman and others noted, similar examples—soon disproven—have regularly appeared in less ideologically charged outlets. CNBC’s Maria Bartiromo called the predicament of Deborah Cavallaro, a 60-year-old California real estate agent whose insurance plan was cancelled, another Obamacare horror story. Then Los Angeles Times columnist Michael Hiltzik did something Bartiromo hadn’t bothered to do. He examined Cavallaro’s previous skimpy plan. He then poked around California’s new insurance exchange. It turns out that Cavallaro can choose several better and cheaper alternatives to her old plan. When Obamacare horror stories are debunked—as they repeatedly have been—the corrections generally appear in more wonky outlets with smaller audiences. Meanwhile, the anecdotes keep appearing in mainstream media outlets. These accumulate to reinforce a compelling but false fiasco narrative of healthcare reform. To do better, reporters need to do two things: (a) examine the consumer’s old policy to see what was actually covered, and (b) compare these old policies to what is now available to the consumer through Medicaid or the new exchanges. Reporters’ failure to do these two simple things obscures a basic reality. Available coverage on state marketplaces is actually pretty good. It’s also cheaper than experts predicted when healthcare reform was passed. Meanwhile, the biggest failure of healthcare reform remains rather hidden in plain sight. More than 5 million low-income Americans who remain uninsured because their Republican governors refused to implement the Medicaid expansion. Because this wasn’t a surprise to anyone, this scandalous situation is getting far less attention than it deserves. Fortunately, there are some silver linings. The first reflects cyclical realities of the media. 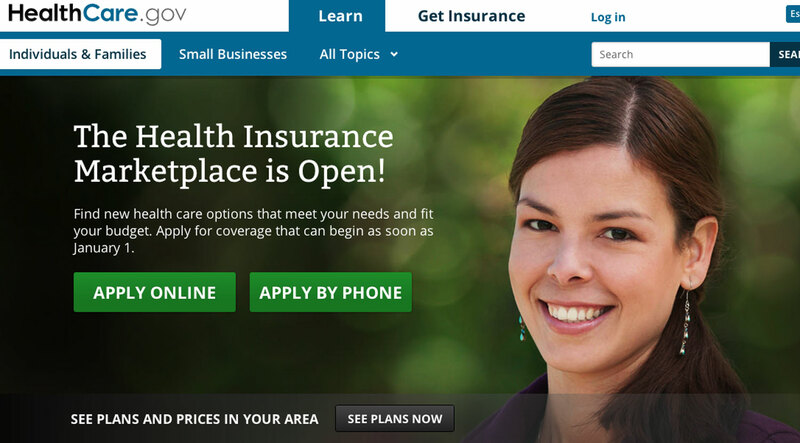 Healthcare.gov isn’t the humiliating mess it was at its launch. It will work. Eventually, reporters will notice. Ordinary Americans will, too. Secondly, more and more Americans will directly observe what many new Medicaid recipients and participants in state exchanges have already seen: healthcare reform is offering real coverage that will improve people’s lives. The final silver lining will be harder to accept for committed activists on both sides of healthcare reform. Many readers might not see this as a silver lining at all. But hear me out. The Obama administration has been chastened by its poor rollout performance. It needs practical and political help from Republicans—not from Republicans in Washington, who have little incentive to collaborate, but from Republican state office-holders who have actual responsibilities to govern who will eventually own their state’s version of healthcare reform. And Republicans around the country have been chastened by the Tea Party’s politically radioactive decisions to seek concessions over the debt ceiling and to shut down the government. States face powerful incentives to embrace the Medicaid expansion, which is so valuable to both consumers and providers of healthcare. In states such as Ohio, Arizona and Pennsylvania, all of which have Republican governors, we can already see the beginnings of a bipartisan negotiation. Liberals like me may be disappointed by compromises the White House is likely to make to provide GOP governors with a dignified path to accept Medicaid expansion. Some states wish to impose (modest) co-pays for non-generic drugs or for emergency department use. Others ostensibly maintain the right to opt out of the Medicaid expansion if the federal government lowers its matching rates. Republican governors require such concessions. After all, they have spent the past five years bitterly opposing health reform. Maybe HHS will follow the Arkansas compromise and allow more poor people into exchanges rather than Medicaid in states that request that option. The administration always seemed willing to negotiate on medical malpractice, too. This proved to be a moot point in 2009 and 2010, as Republicans preferred to trumpet this issue politically rather than to negotiate any deal. But perhaps we have another chance for movement. We may also be wise to revisit just how minimal the most minimal insurance packages should be. In 2011, an Institute of Medicine committee was asked to clarify what the “essential health benefits” under the new law. The IOM recommended a package based on what the typical small business would cover, and noted the importance of such restraint to keep premiums low. It was a much more limited plan than many advocates support, and the committee was sharply criticized. But this month’s backlash underscores the wisdom of the IOM’s approach. I don’t know yet what can be done without compromising public health components such as substance abuse and mental health coverage, but these matters deserve a real look. For liberals, these may be painful concessions. Yet this isn’t November 2008, when Democrats could plausibly look forward to imposing their legislative will. Democrats need Republican buy-in for health reform to secure public legitimacy and to help millions of needy people. Democrats also need the administrative capacity of state governments, willingly deployed, to make healthcare reform actually work. Meanwhile, conservatives across the country will be equally disappointed by the compromises GOP governors must make. Some states could see more than one-third of the adult population on Medicaid. This is a huge, essentially irreversible increase in the role of government. Republicans must realize that this isn’t November 2010, when they might plausibly have overturned ACA in Congress or in the courts. That moment has passed too. Health reform is a reality. Too many individuals and constituencies are benefitting for this thing to be overturned. Meanwhile, poor people need coverage. Hospitals, city and county governments, and so many other stakeholders need federal dollars in the cash register. If Medicaid’s history in the 1960s and 1970s is any guide, Medicaid expansion will happen. Once a state opts in, as Virginia presumably will do under Governor-elect Terry McAuliffe, there’s no going back. The politics of enacting landmark health reform required a unique moment of Democratic dominance. The realities of implementation require something less exhilarating but more methodical. The process is messy. No will.i.am video will be made about this task, but it’s important: Cementing the change we need. In Syria, the Assad regime is targeting access to healthcare as a war tactic. Harold PollackHarold Pollack is the Helen Ross Professor of School of Social Service Administration at the University of Chicago. He has published widely at the interface between poverty policy and public health. An Adjunct Fellow at the Century Foundation, he served as a special correspondent for New Republic during health reform. His most recent op-ed, "Tough times in the second city," appeared in the New York Times on Labor Day.